The Golf Academy At Triple Crown | Golf training curriculums that give students of all playing abilities, genders, and ages, a great opportunity to develop their game to its highest potential. We pride ourselves in using the perfect mix of golf science and technology combined with the art of “perfect communication” for every level of student. We don’t teach gimmicks or so-called secrets…just the proven fundamentals of the champions of the game, past & present. We offer curriculum’s that give students of all playing abilities, genders, and ages, a great opportunity to develop their game to its highest potential. Triple Crown Country Club is consistently named by Golf Digest and Golf Magazine as one of the Top Ten golf facilities in Kentucky. Designed by Gene Bates, Triple Crown features a memorable layout: Par 72, 18 holes over 7,108 yards uniquely sculpted around rolling hillsides, native wildflowers, and plenty of bunker and water challenges. Wayne is a great golf coach! He has taught me a lot about technique. He also has a lot of patience which is good for me because I get frustrated when I make mistakes. Wayne also has helped me learn to self-diagnose which helps me especially when I am on the course or out at the driving range. The Golf Academy is located at the prestigious Triple Crown Country Club in Union, Kentucky…and is now open to the Public! Our private teaching facility was designed expressly for teaching golf. The Academy has indoor/outdoor teaching stalls equipped with state of the art, high speed video and audio cameras, large screen monitors, grass and mat tees, and exquisitely groomed chipping and putting areas for the exclusive use of our students. The Academy operates year round and specializes in adult private and group lessons, customized corporate outings, age specific junior development programs, and short game development programs. Other amenities include custom club fitting and bay rentals for supervised and winter practice sessions. 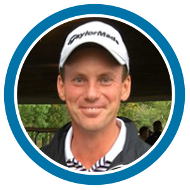 PGA Director of Golf, Wayne A. Oien and celebrated PGA Teaching Professional, Brian Nitschke have joined forces to offer NKY Golf Lessons that give students of all playing abilities, genders, and ages, a great opportunity to develop their game to its highest potential. We do not teach gimmicks or so-called secrets, just the proven fundamentals of the champions of the game, past and present. Wayne was highly recommended by my daughters’ school golf coach and by fellow golfers. I am really glad that we started working with Wayne. In a few short months, both of my daughters have gained a lot of confidence and made significant improvements in their swings. Wayne does a great job explaining the golf swing in a way that is easy to understand. He also is very patient and positive in the way he provides instruction. 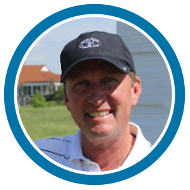 We plan to keep working with Wayne for the foreseeable future, and would highly recommend him to anyone looking for great golf instruction.